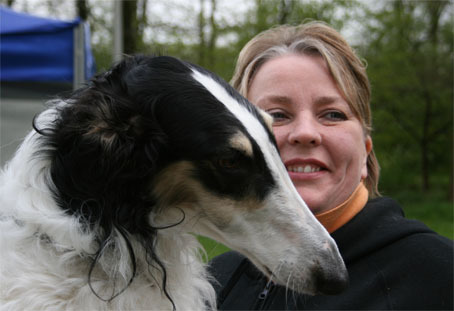 owner: Karin Moonen - van der Loo / E.J. 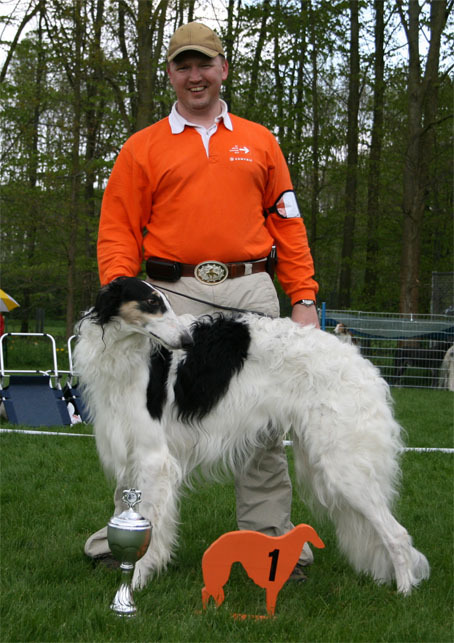 van der Loo-Engelbracht. 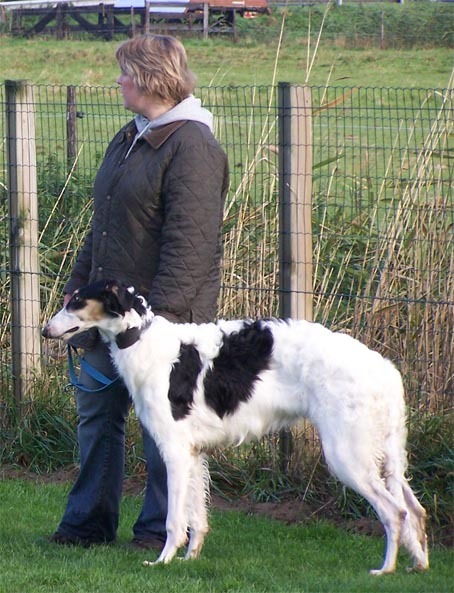 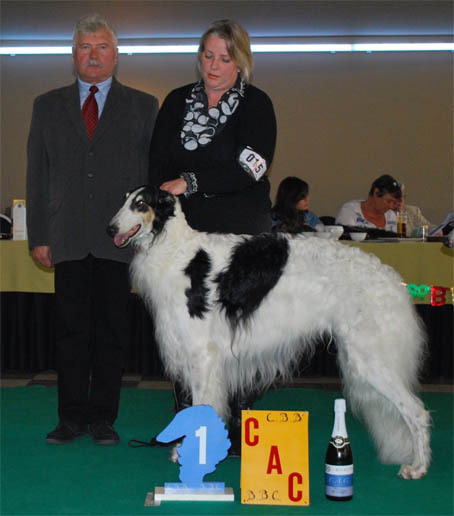 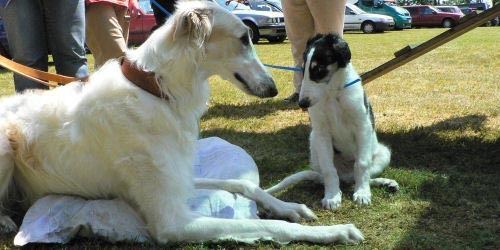 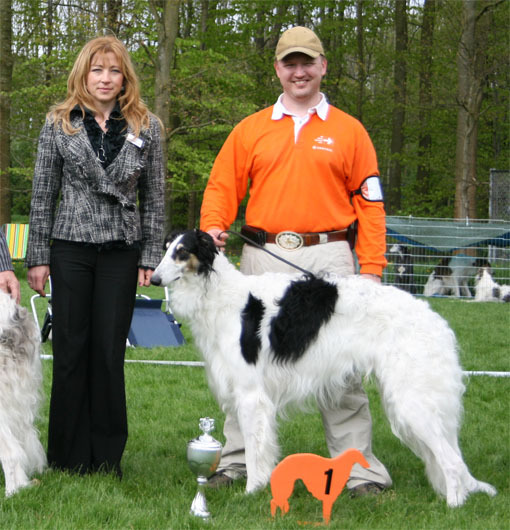 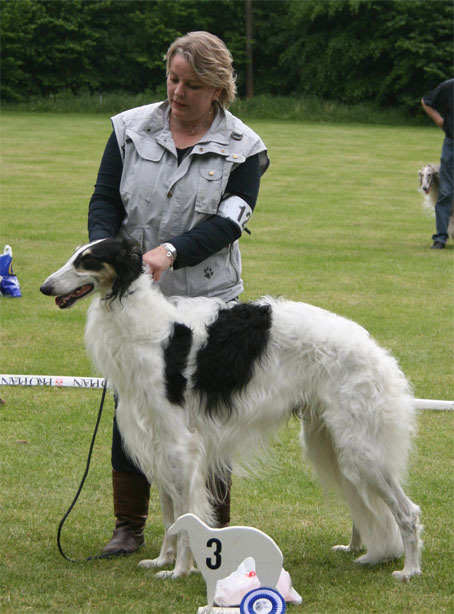 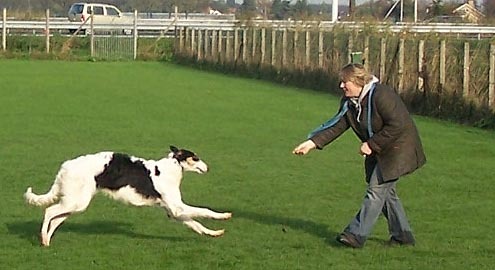 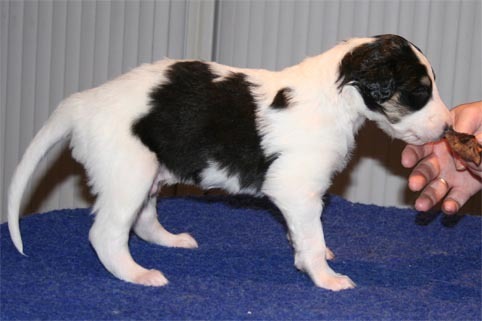 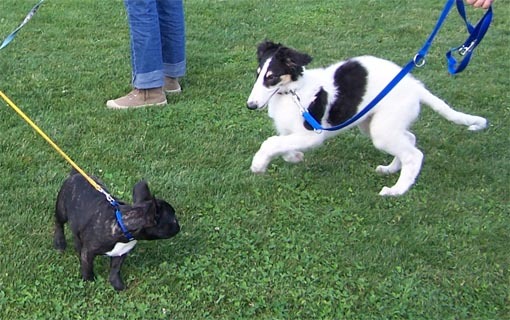 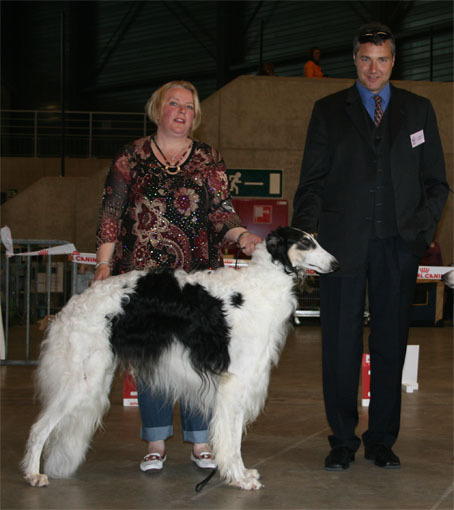 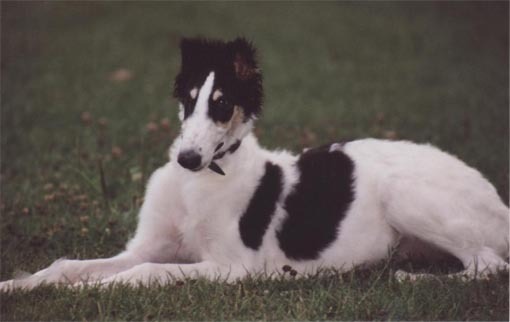 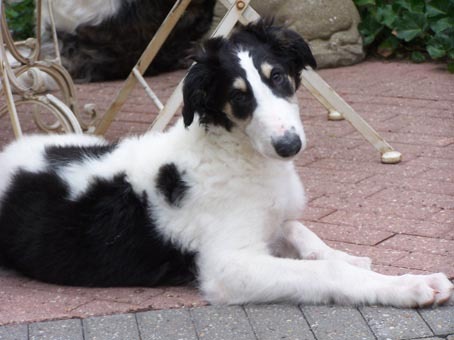 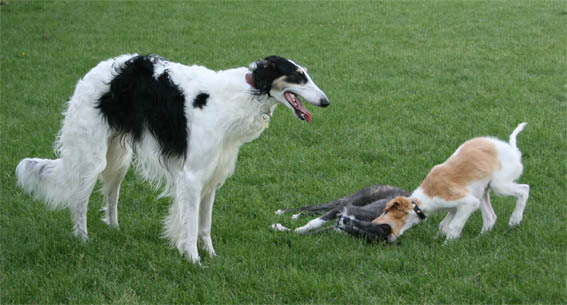 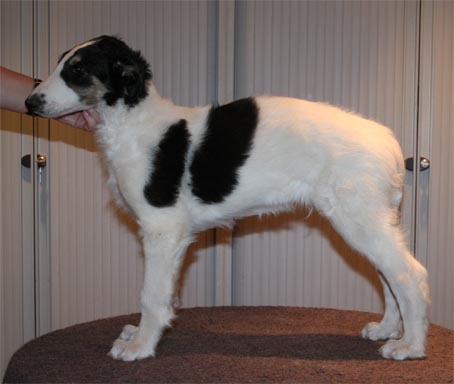 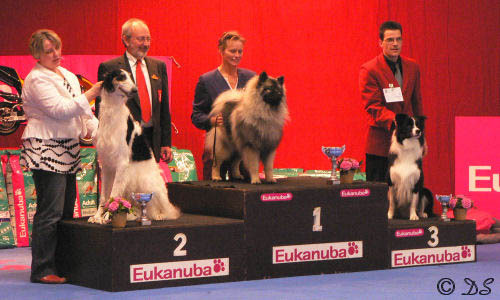 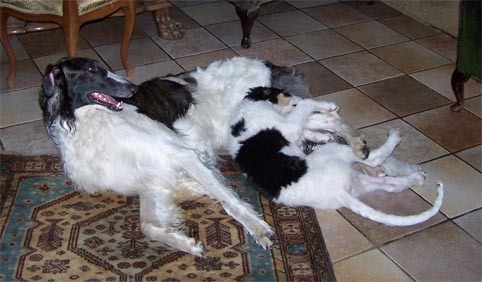 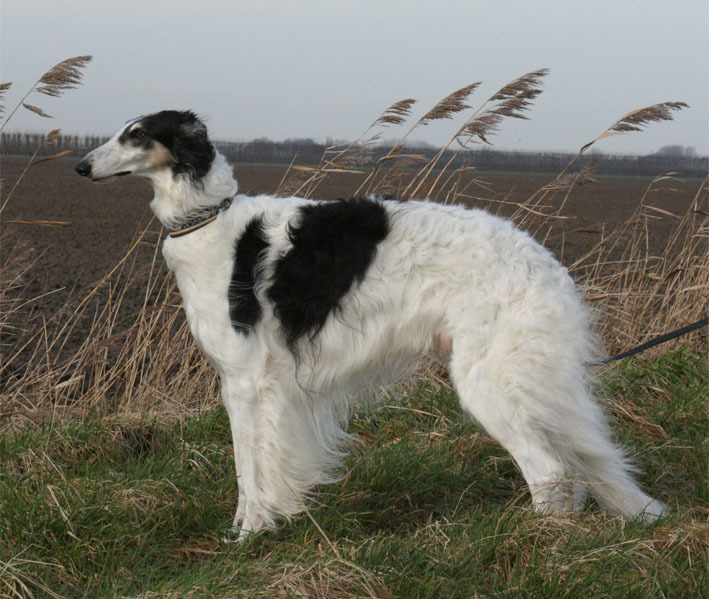 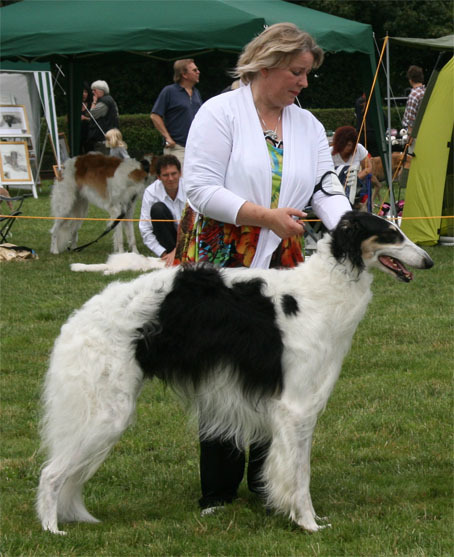 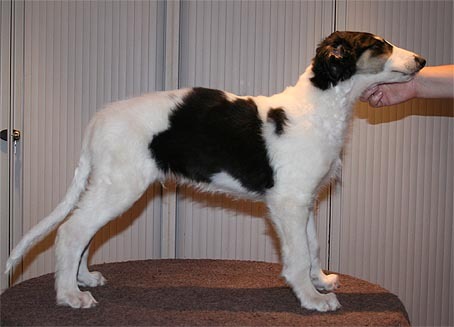 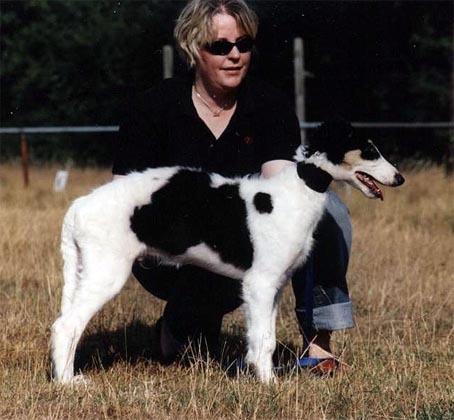 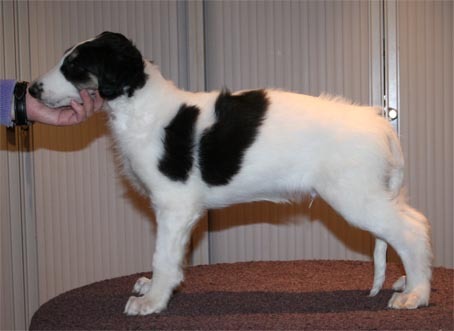 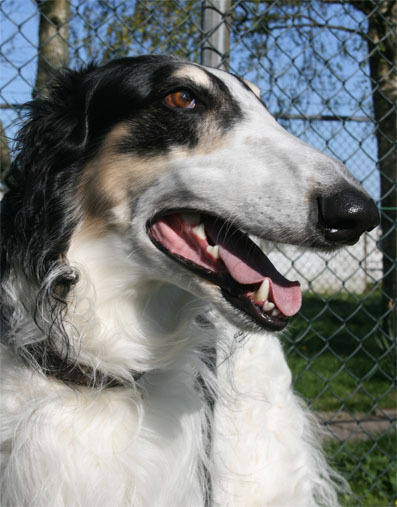 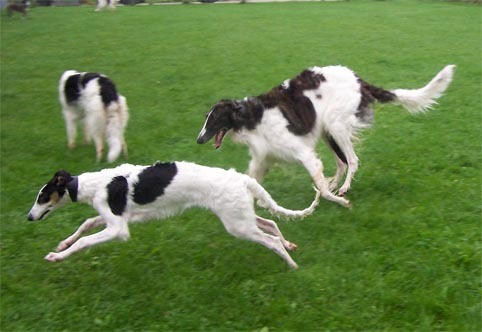 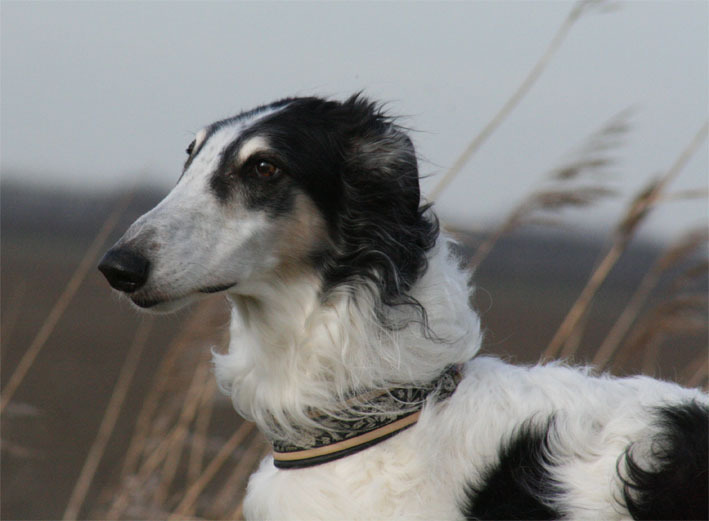 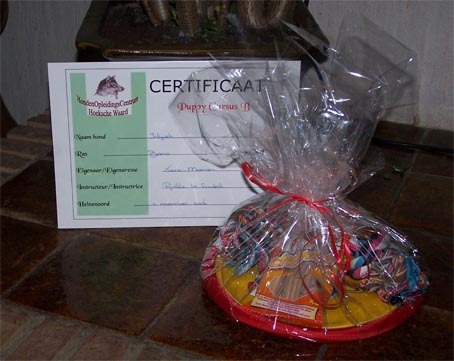 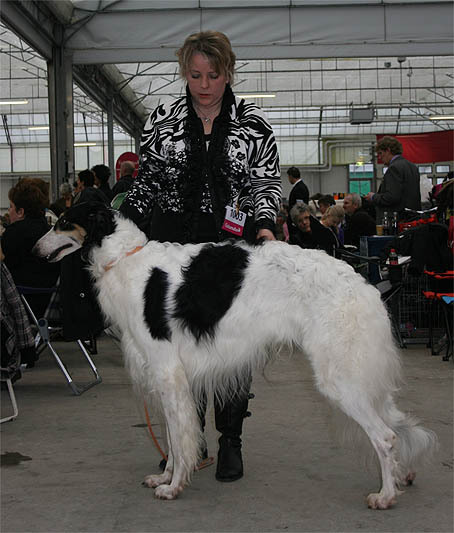 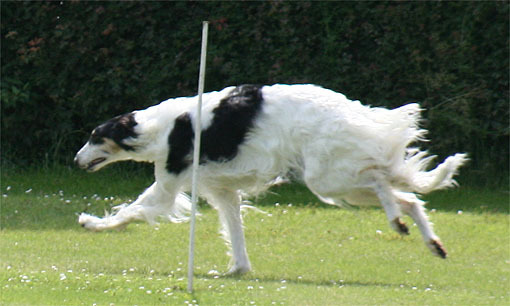 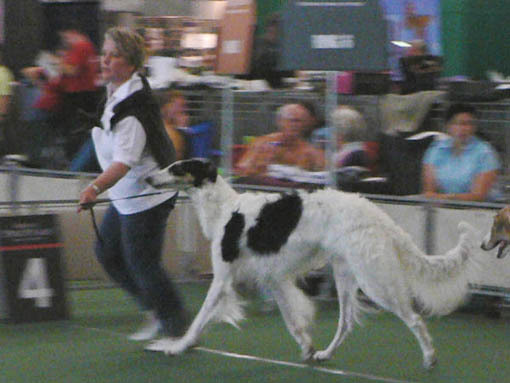 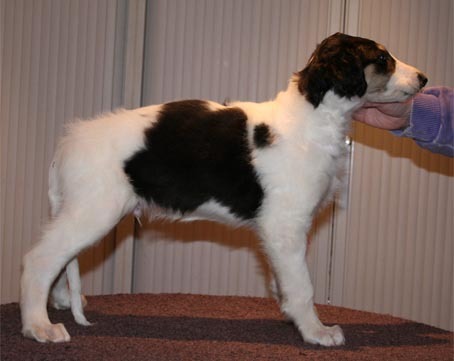 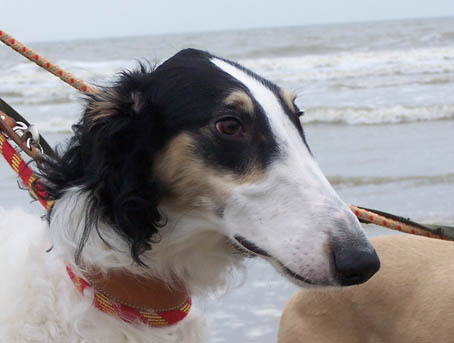 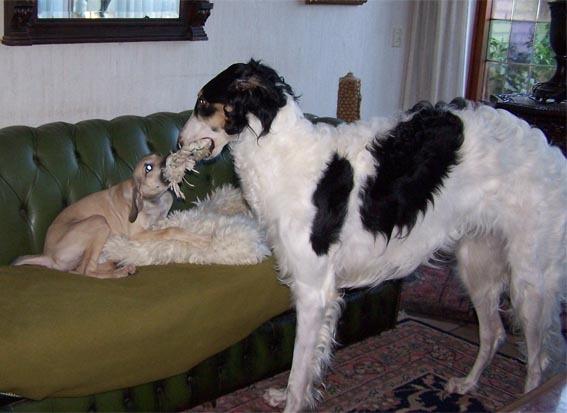 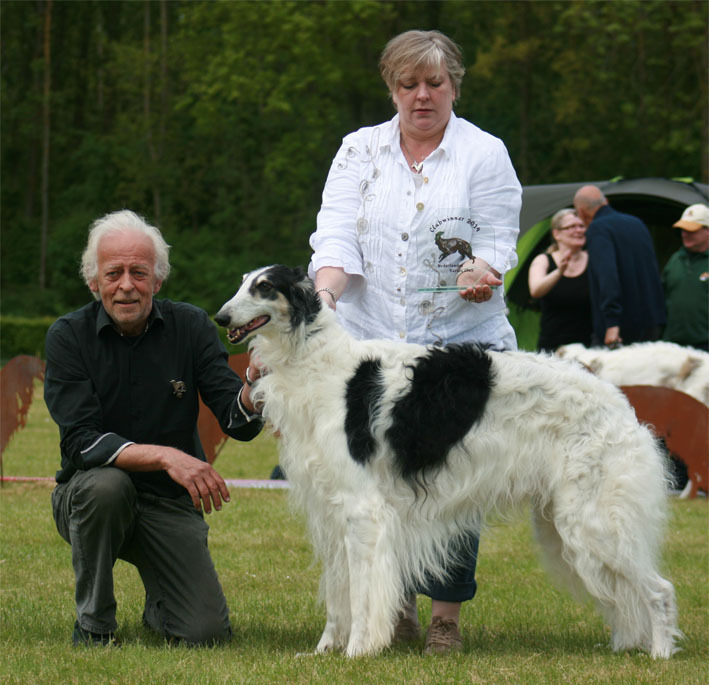 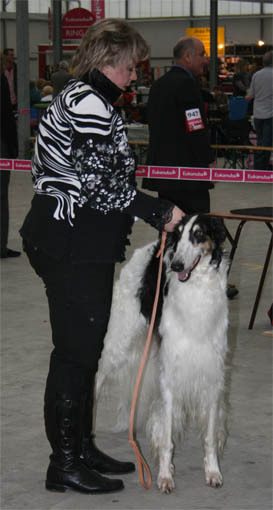 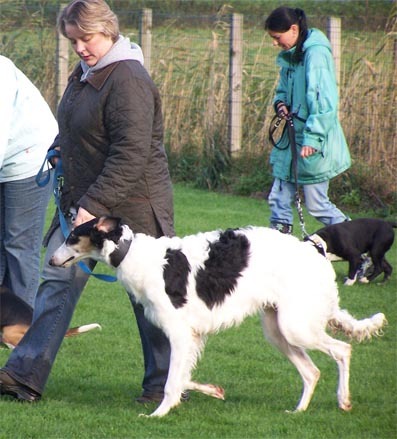 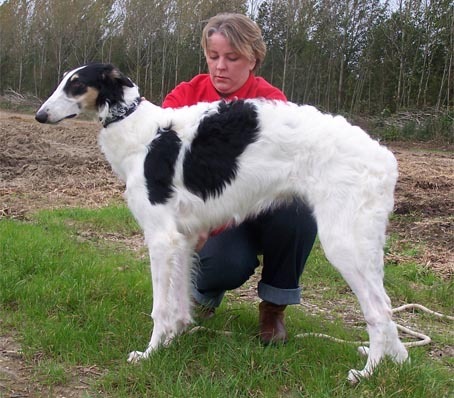 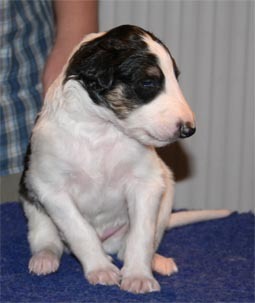 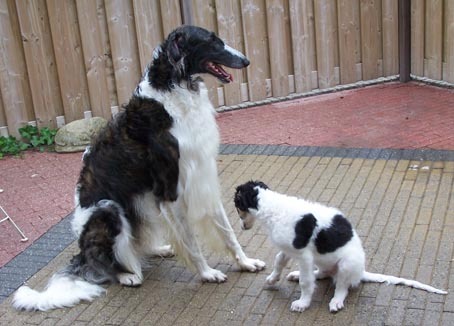 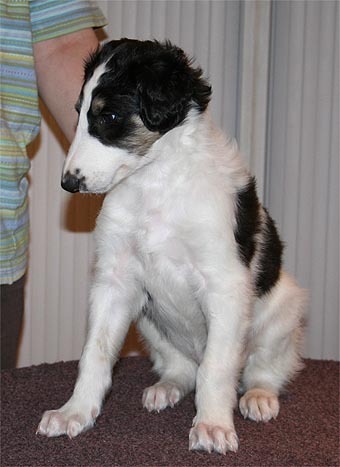 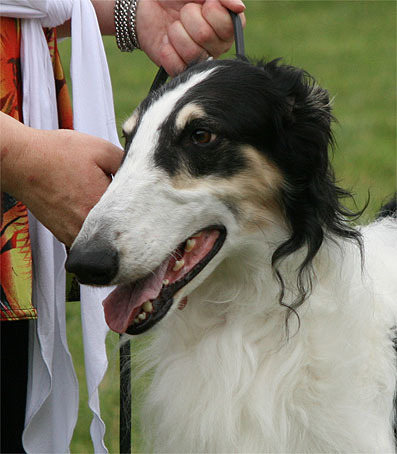 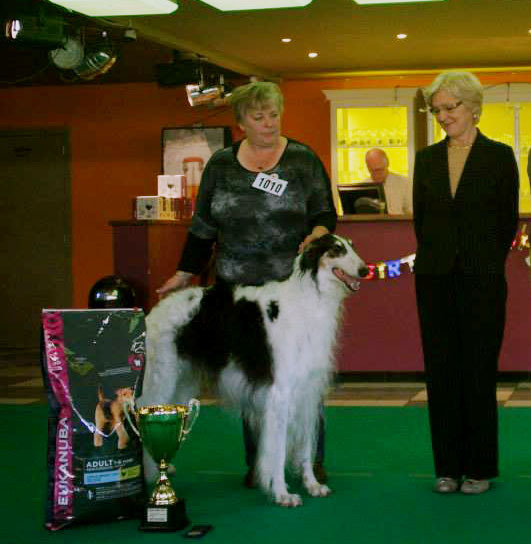 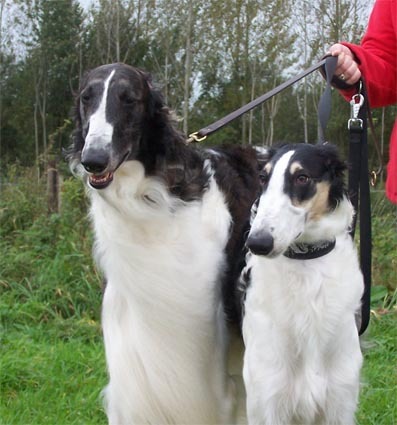 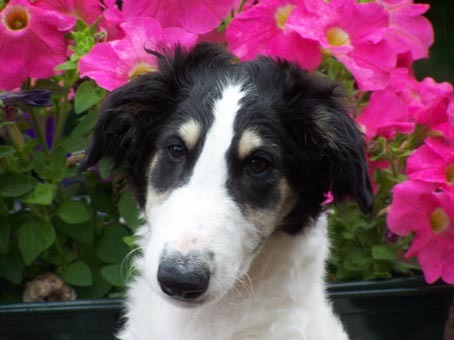 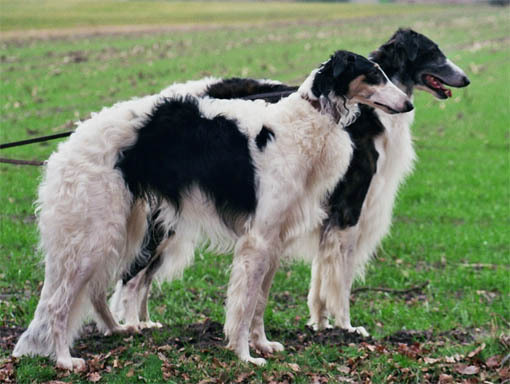 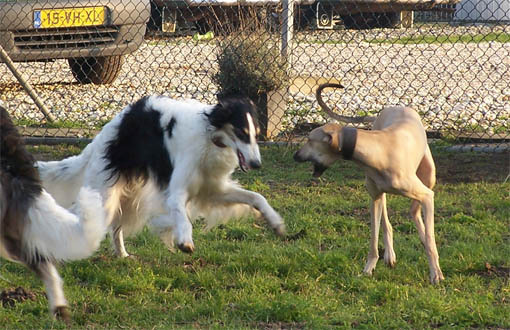 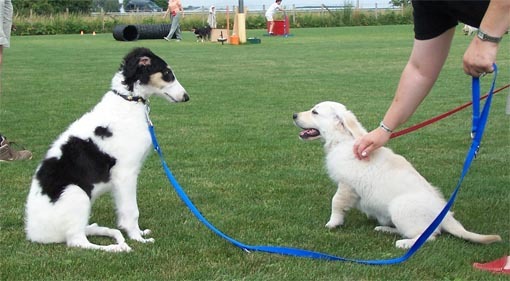 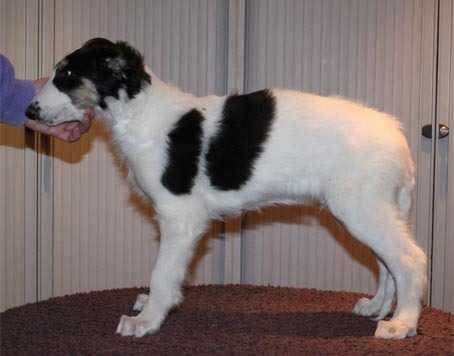 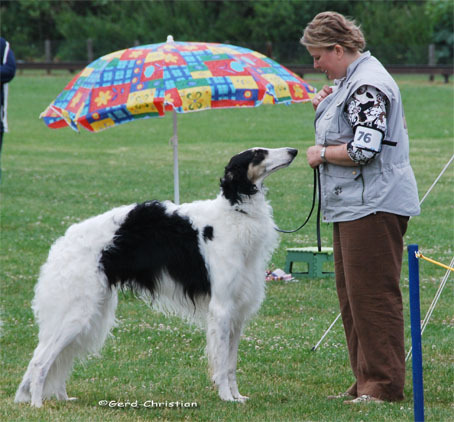 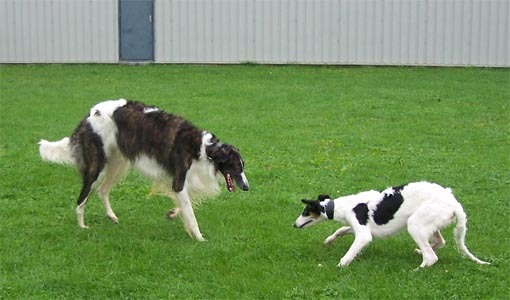 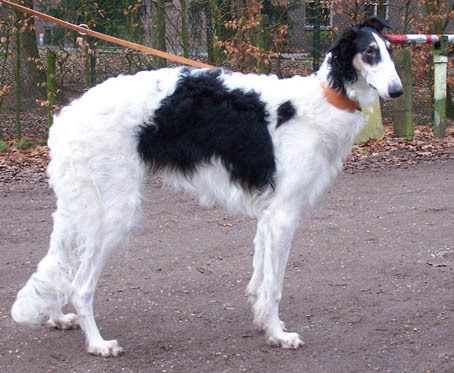 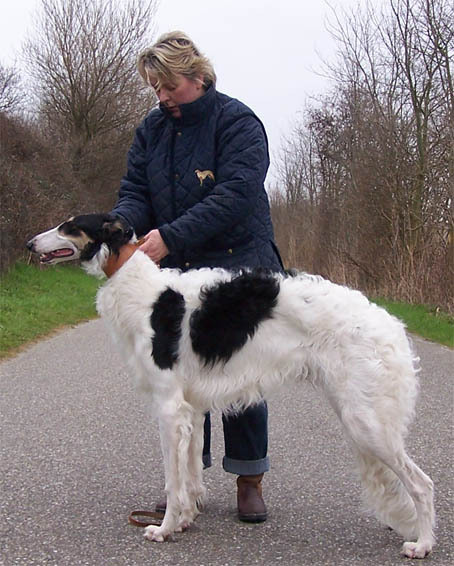 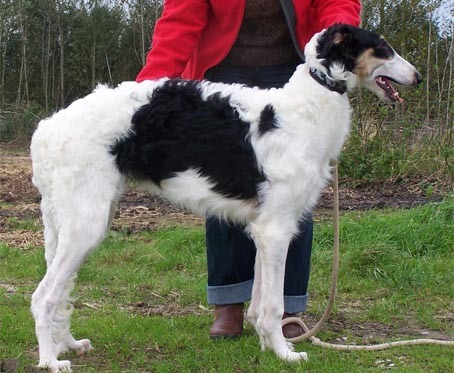 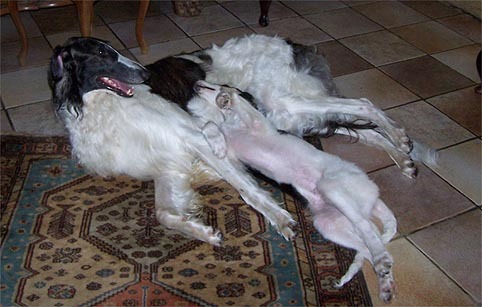 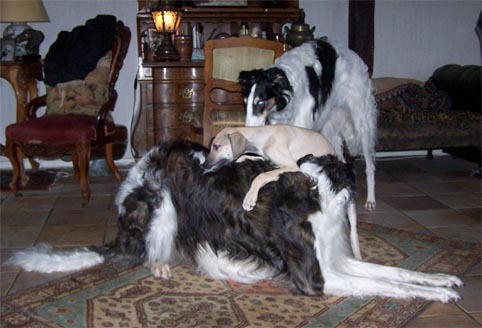 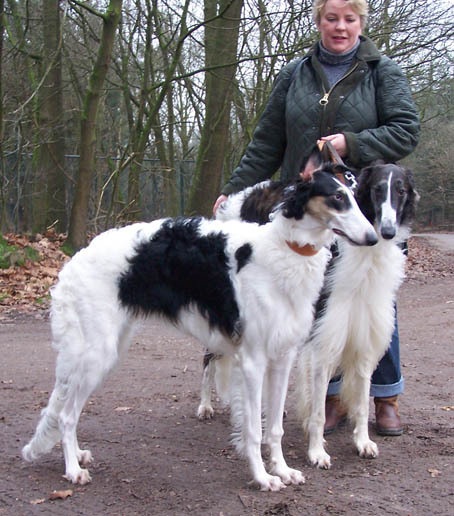 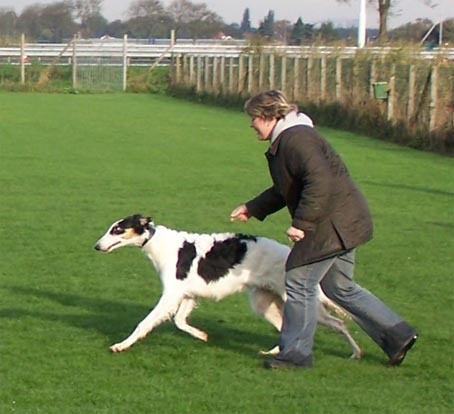 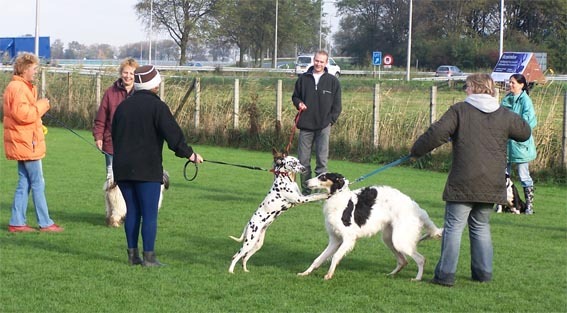 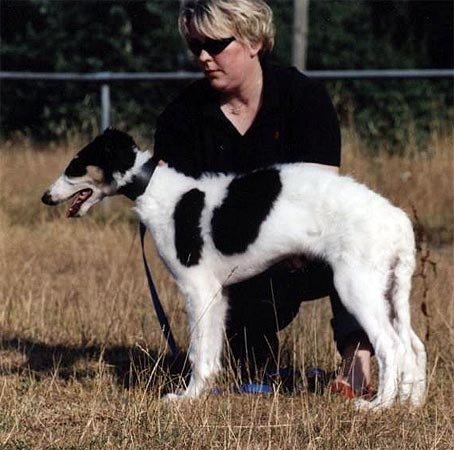 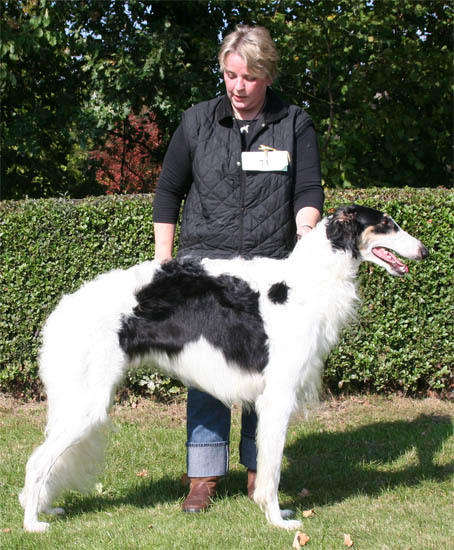 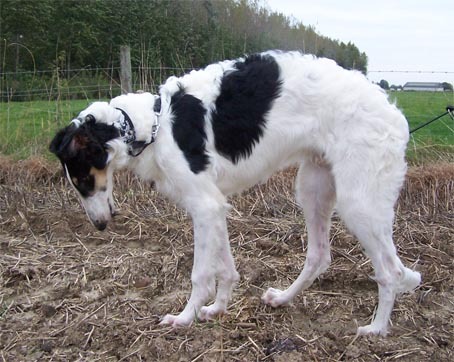 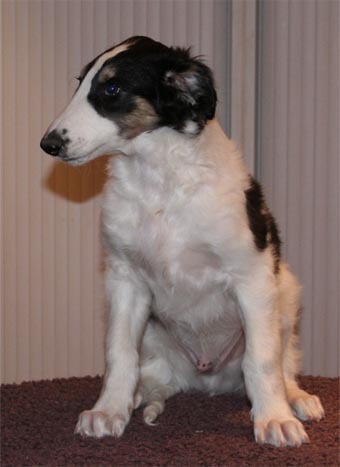 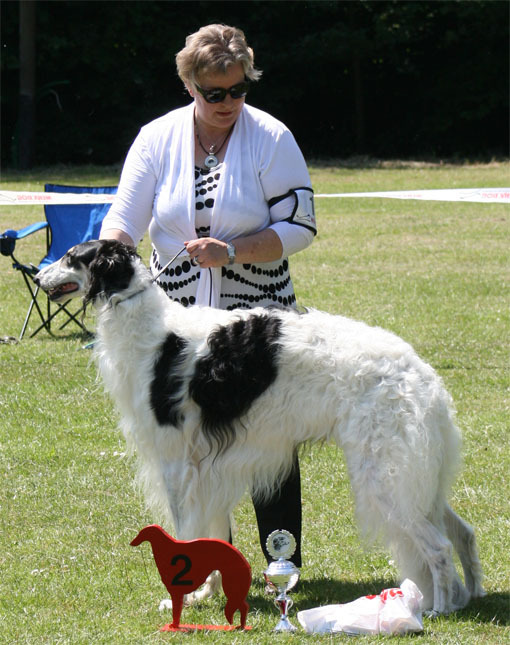 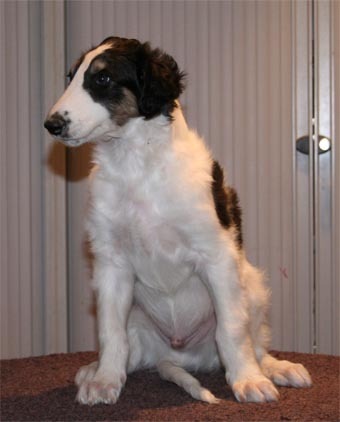 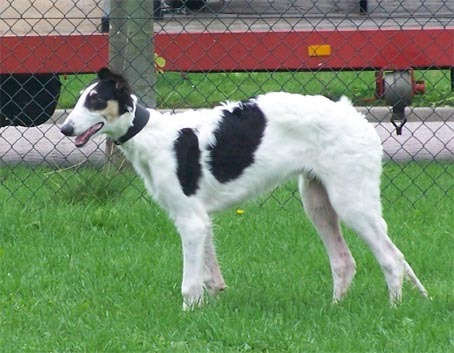 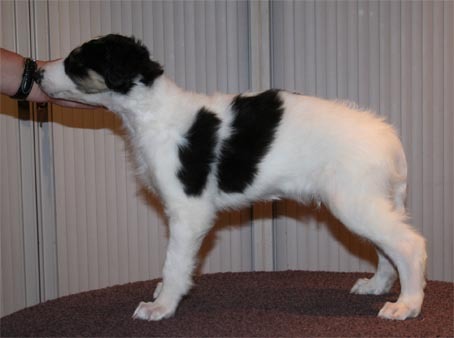 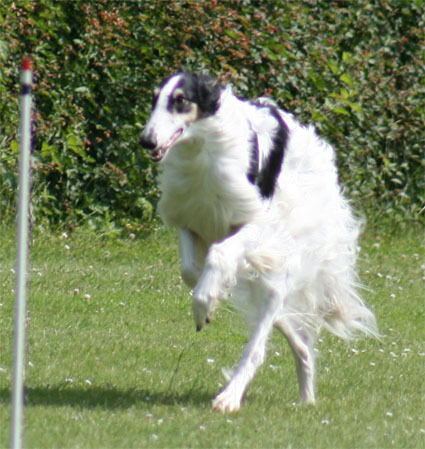 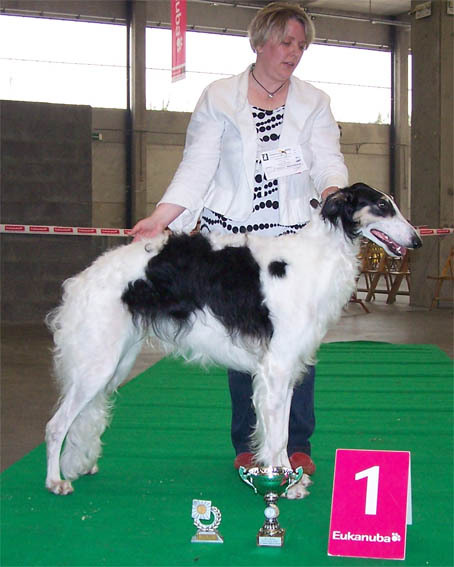 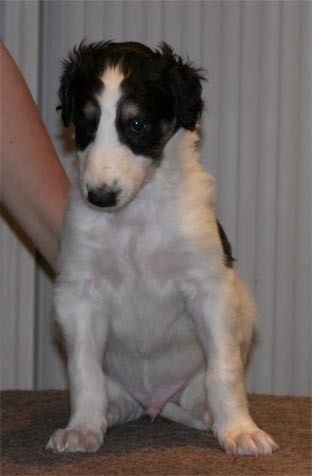 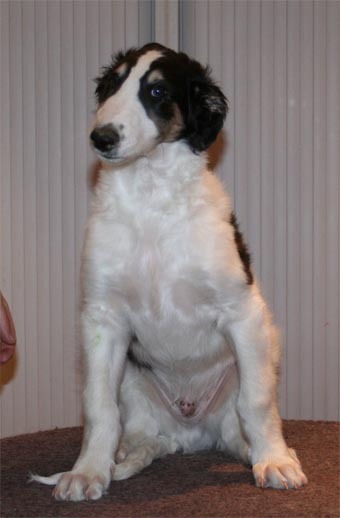 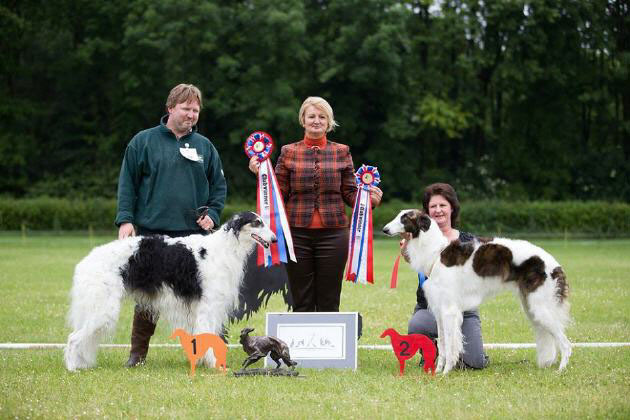 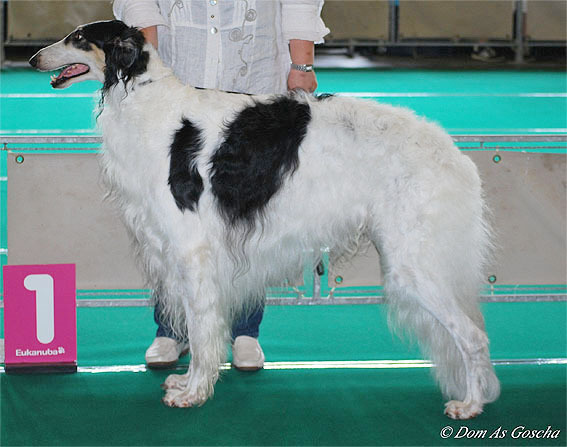 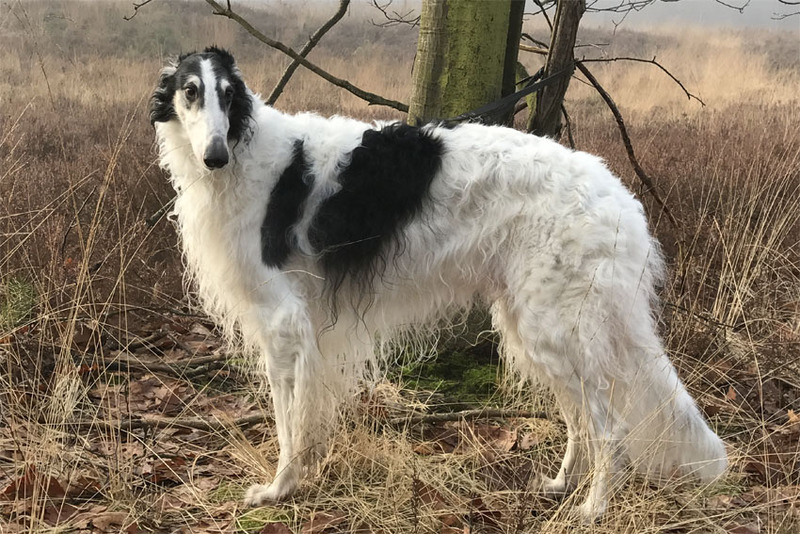 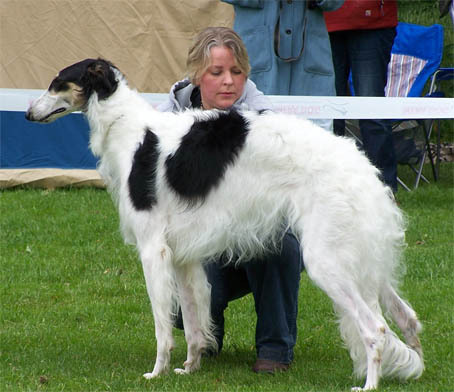 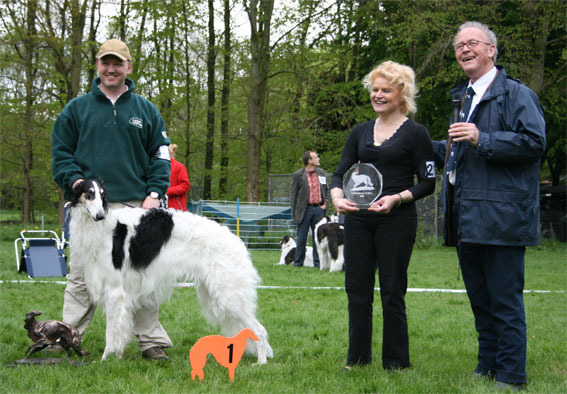 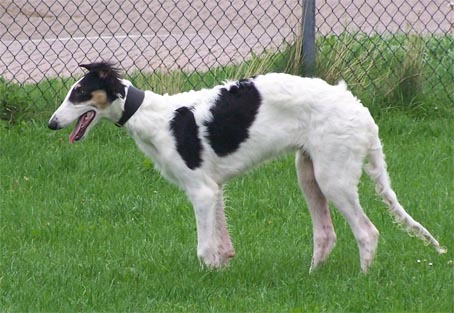 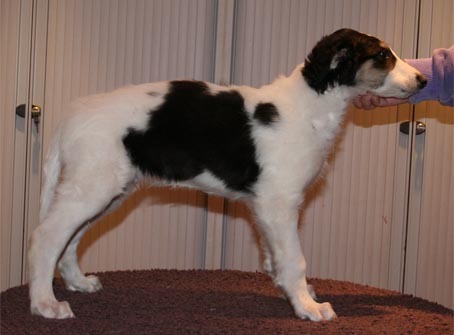 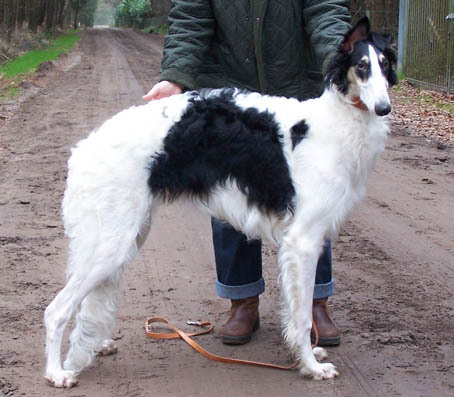 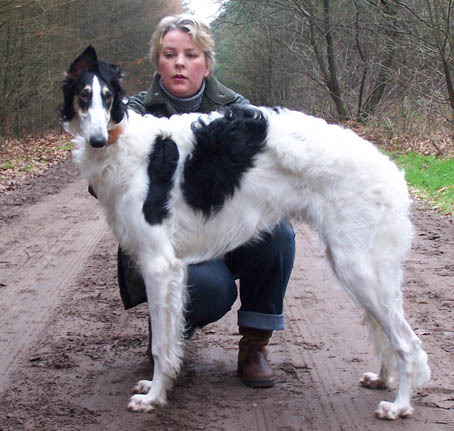 winning best in show at the Clubmatch of the Netherlands Borzoiclub 2014 under breeder/judge Wieslawa Misterka, kennel Polot. 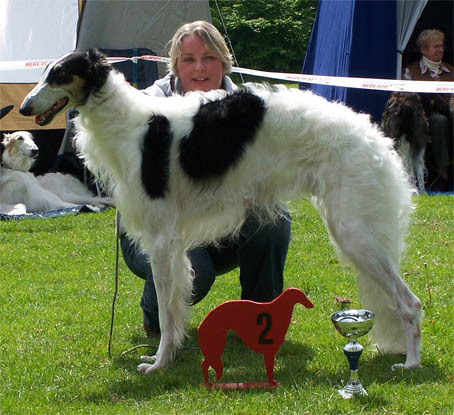 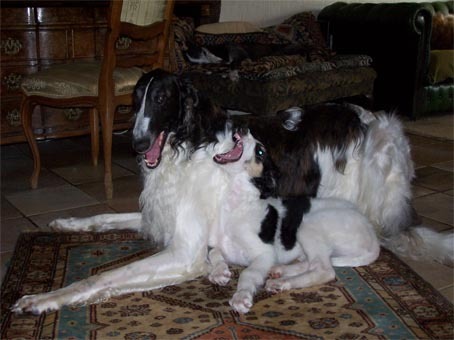 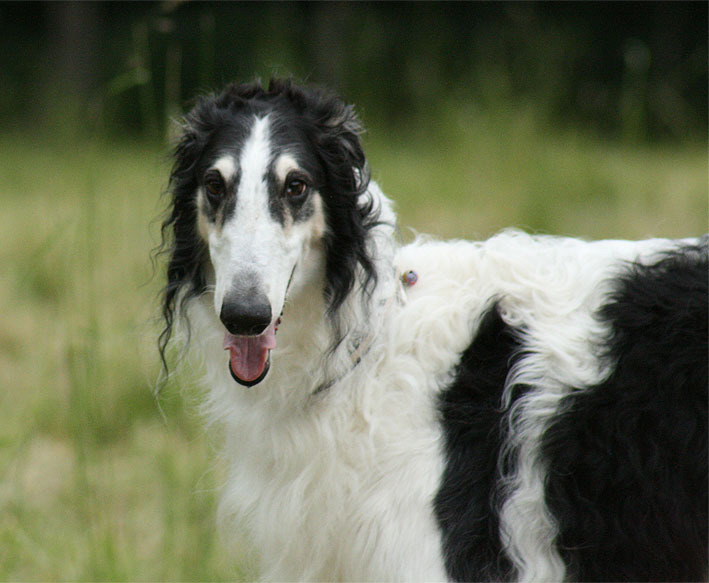 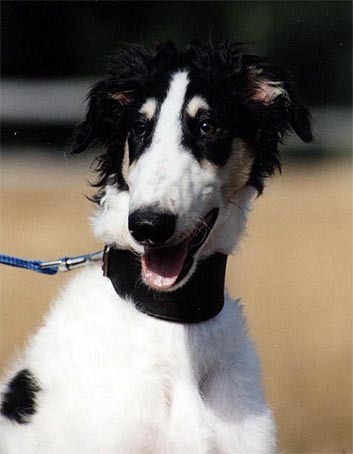 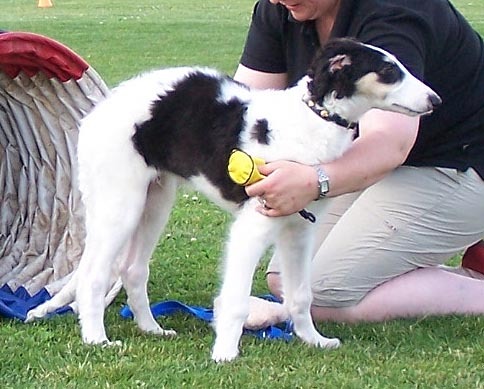 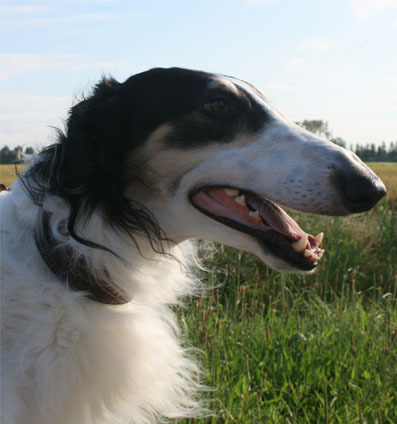 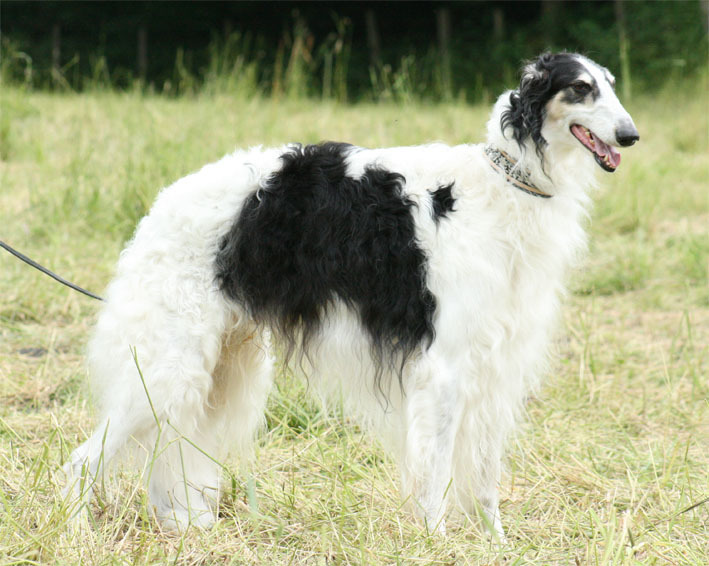 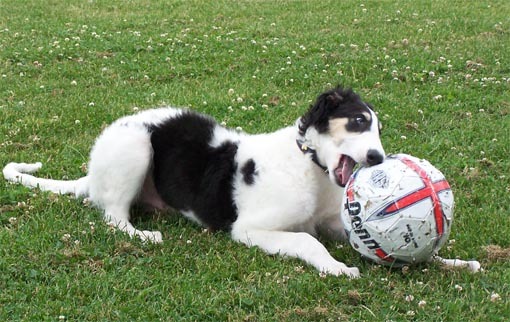 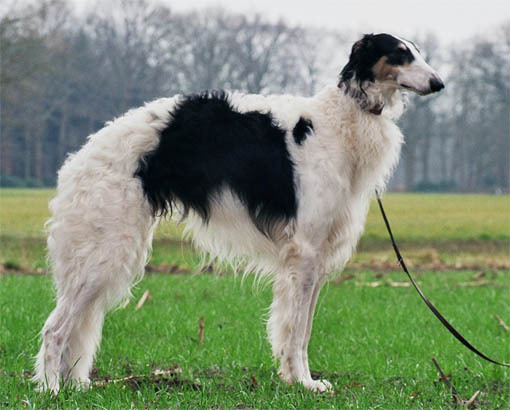 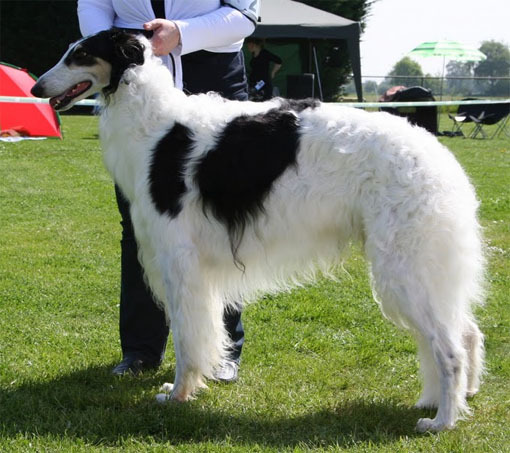 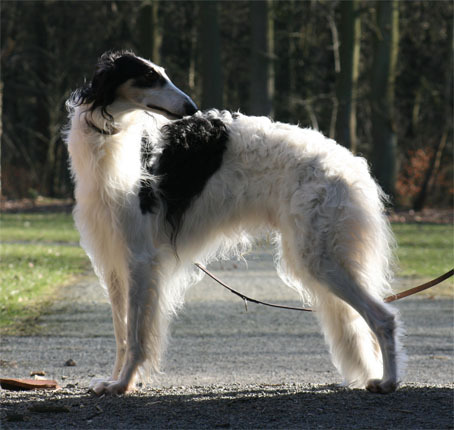 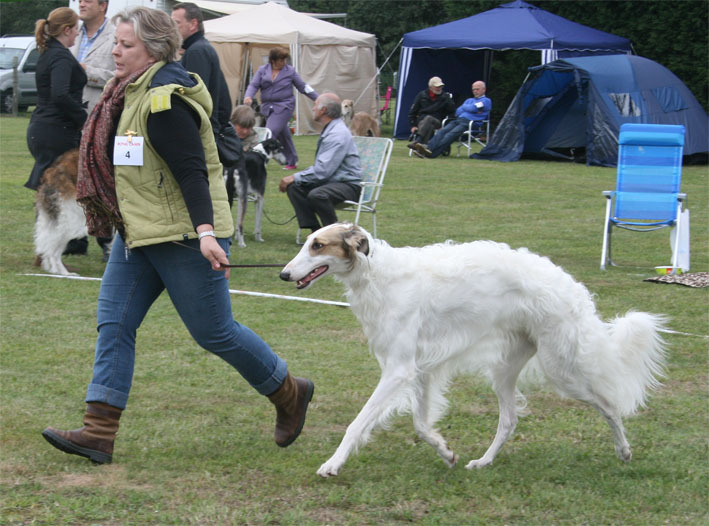 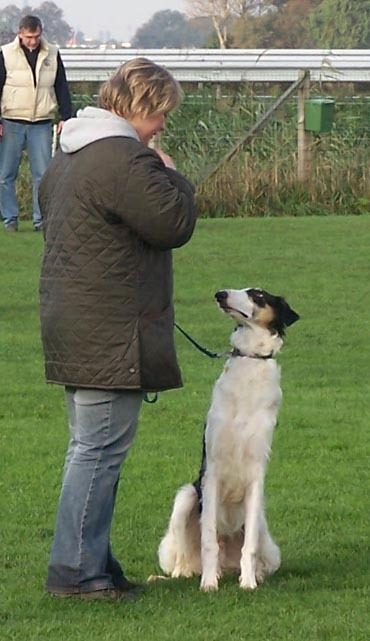 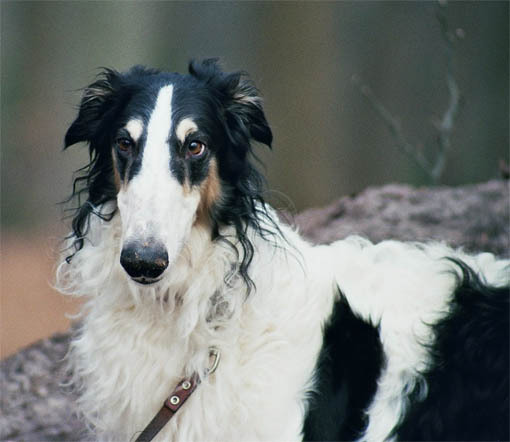 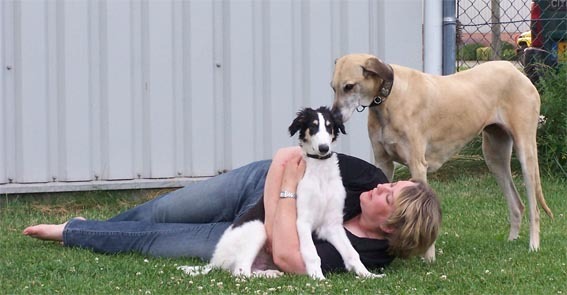 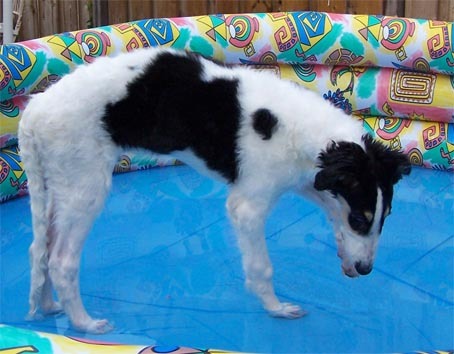 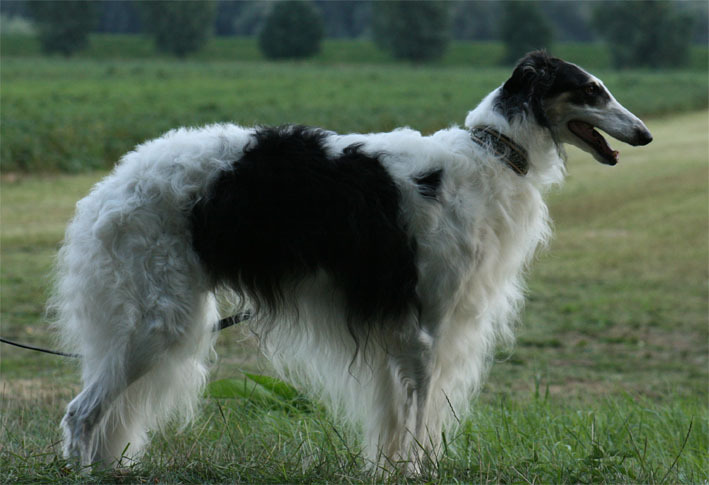 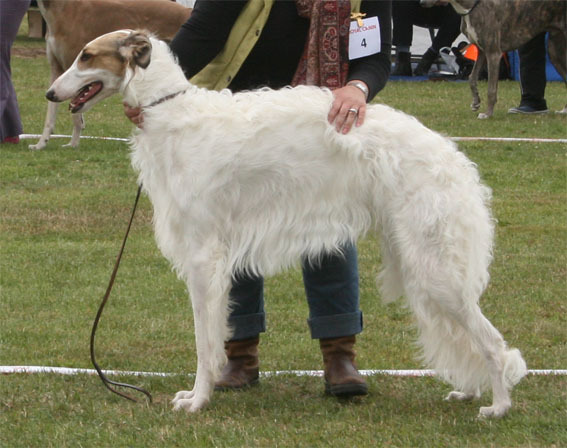 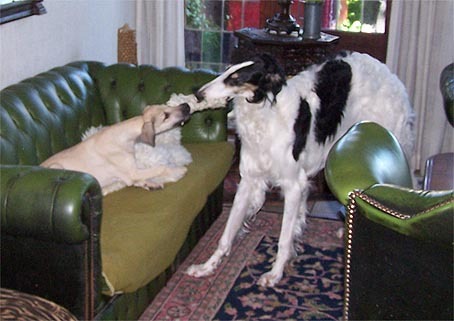 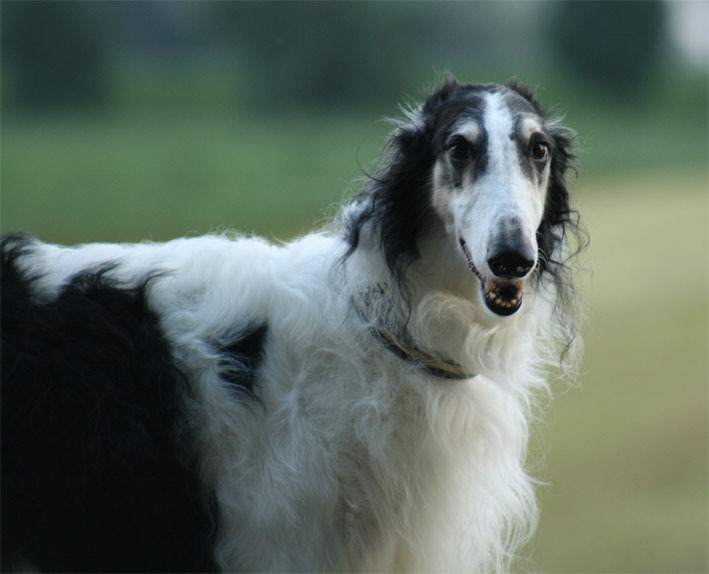 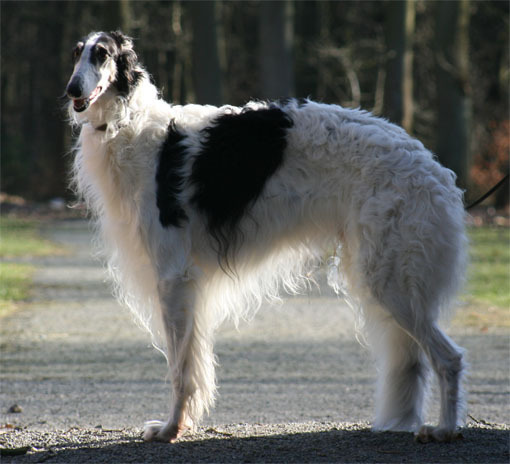 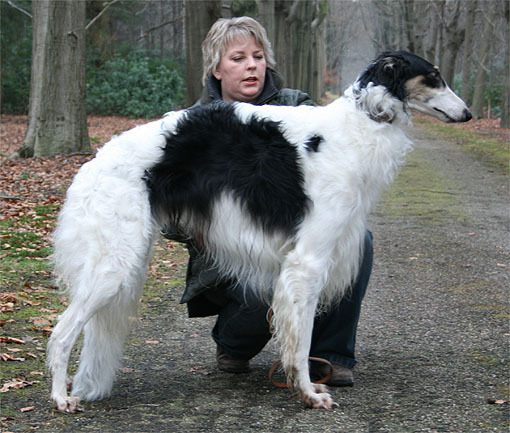 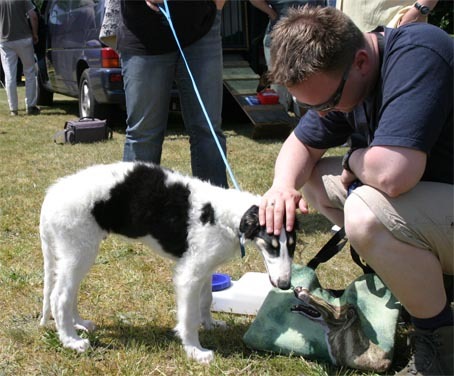 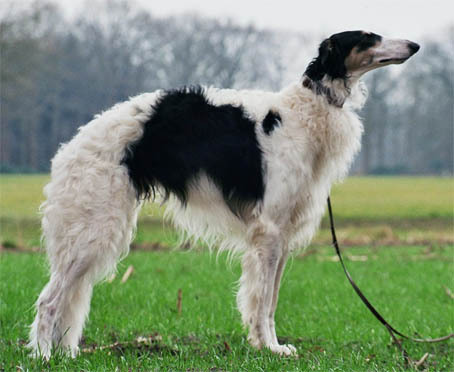 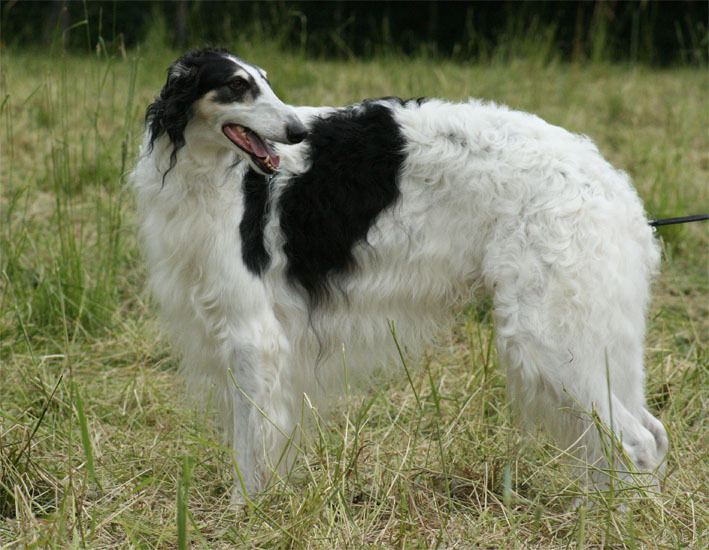 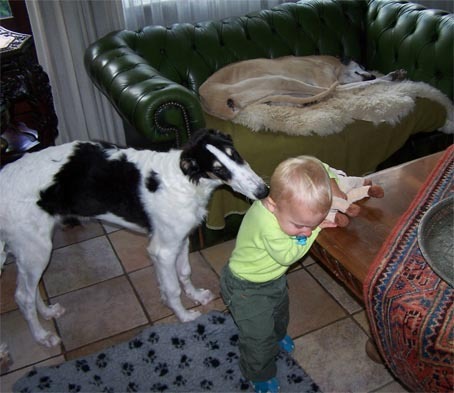 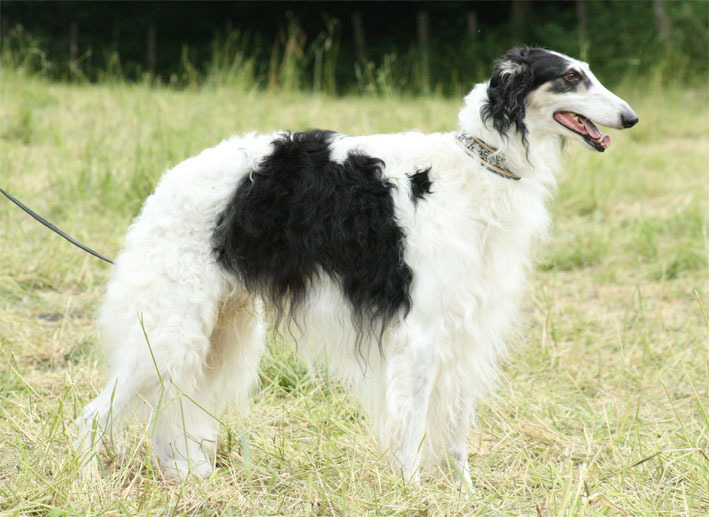 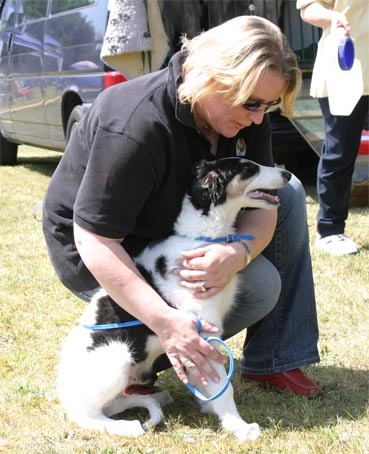 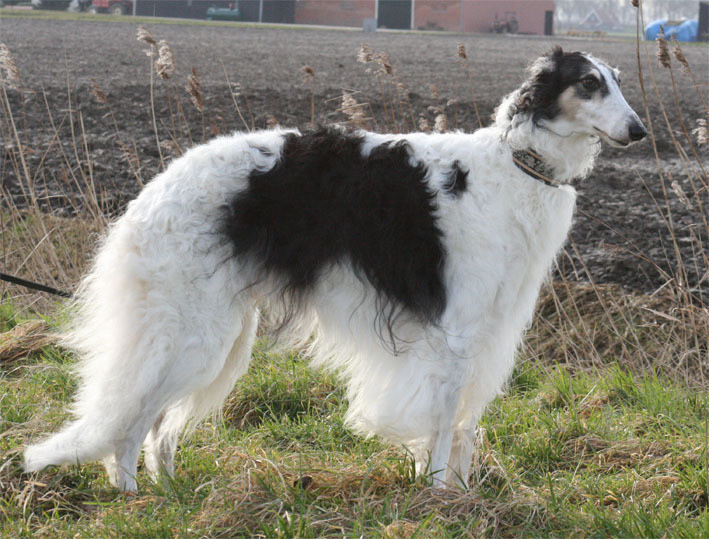 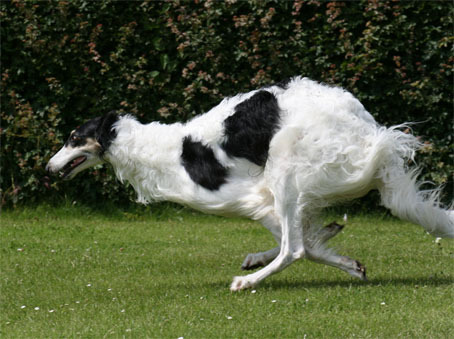 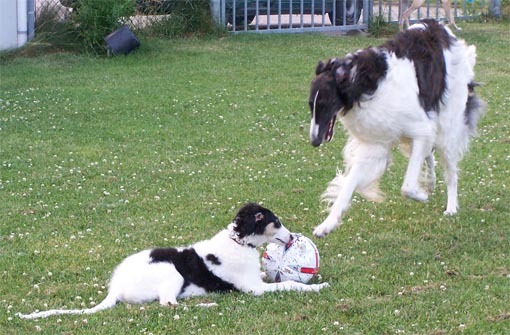 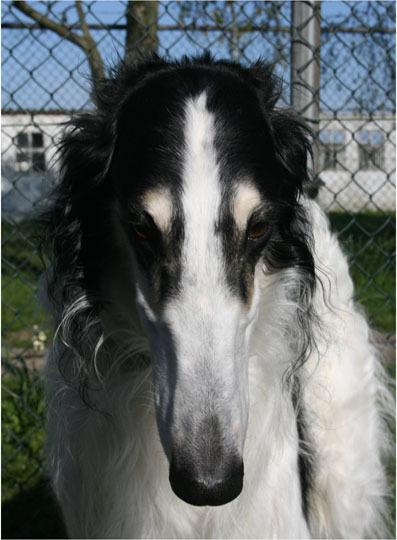 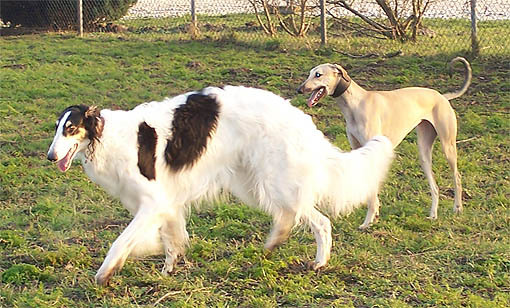 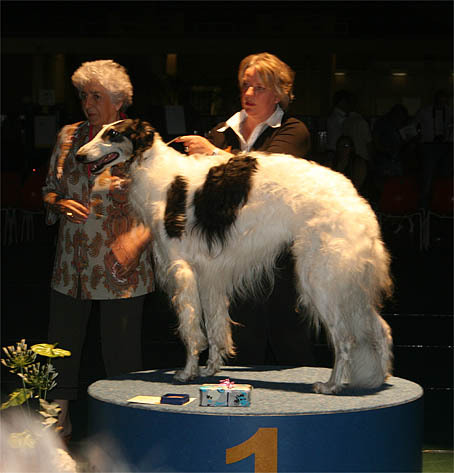 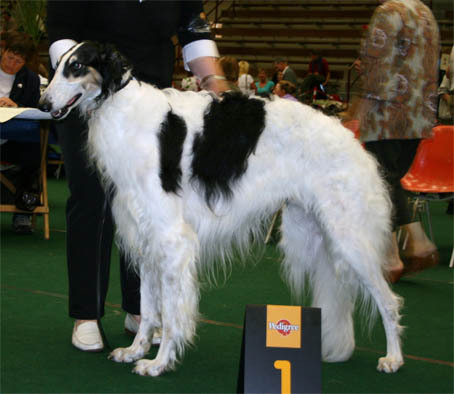 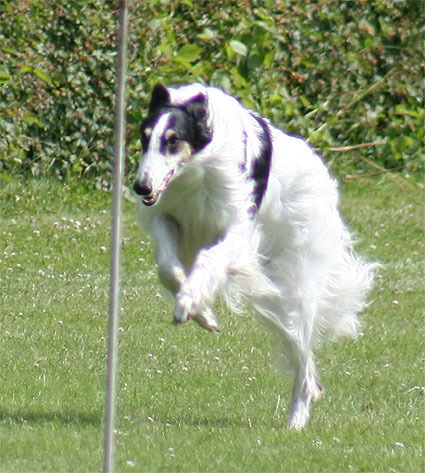 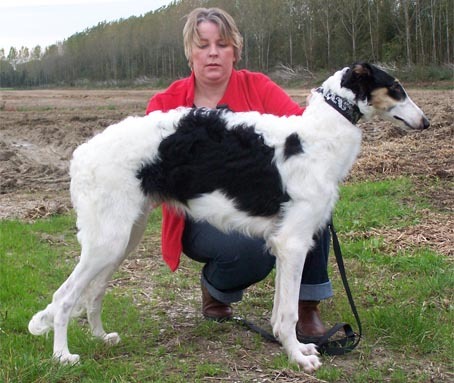 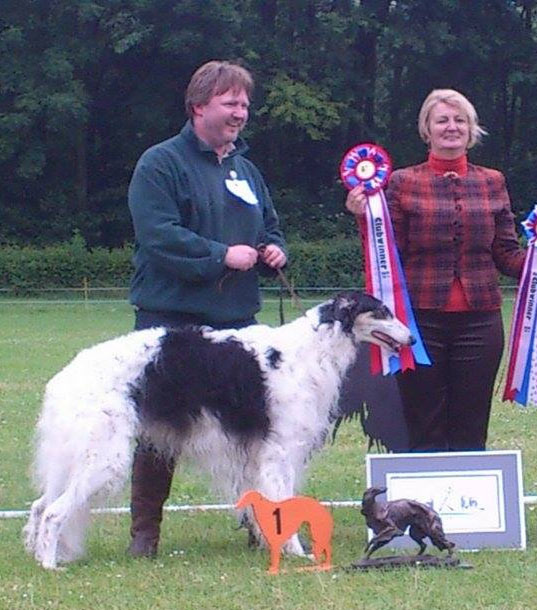 We still cannot believe it that he won for the second time the Dutch Borzoi Club, also in 2008 and in 2009 he won the Belgian Borzoi Club Last thursday he was so happy in the showering it was unbelievable. 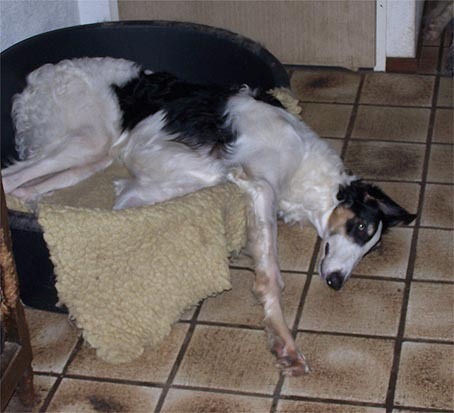 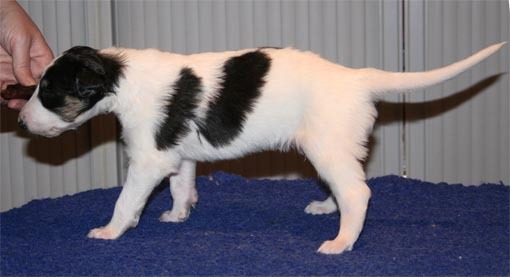 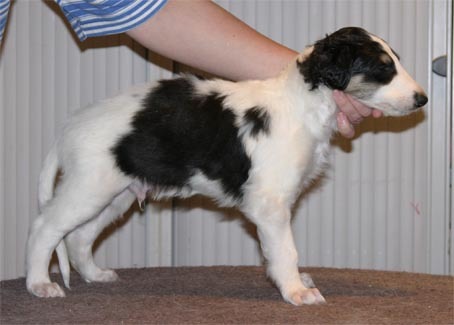 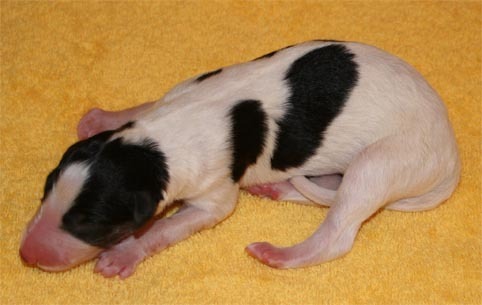 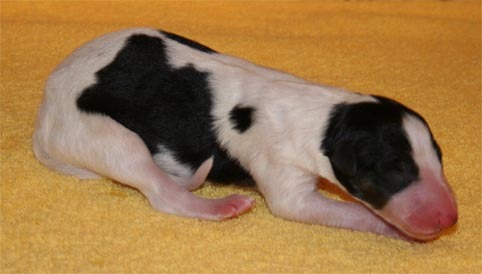 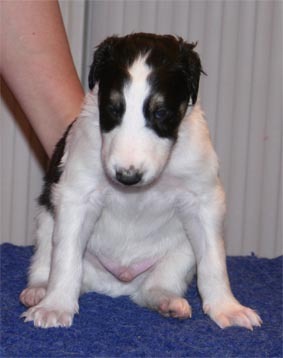 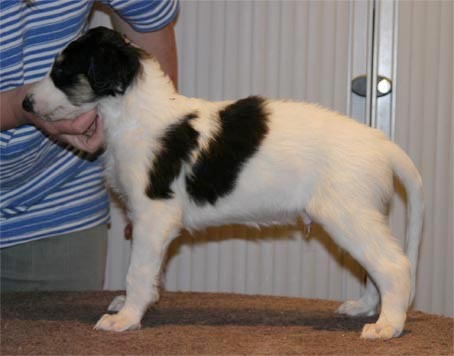 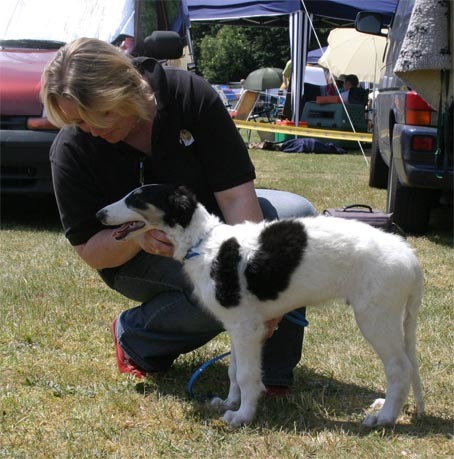 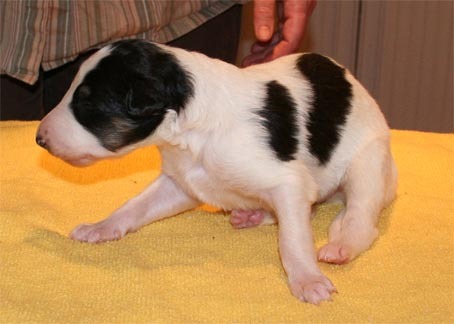 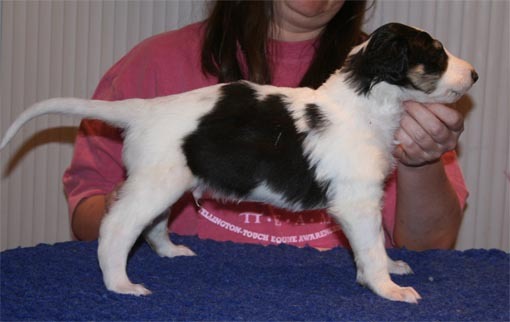 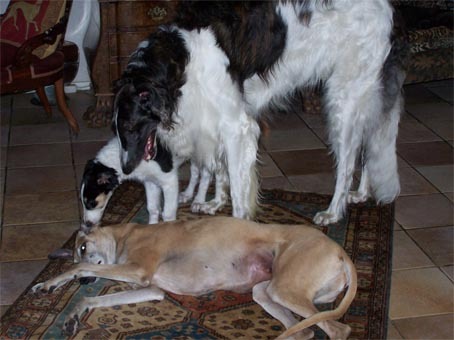 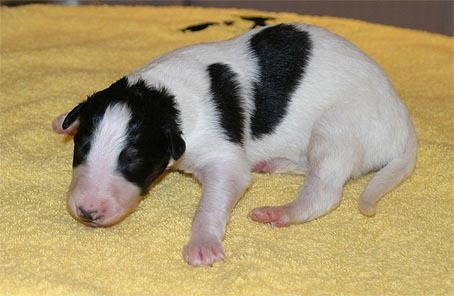 We are so proud and very happy with Irtysch he is so sweet and gentle."